Wild Life at Nevill Hall Hospital! 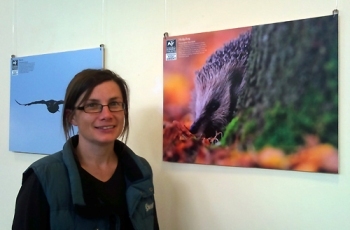 A new show of pictures by Gwent Wildlife Trust are on display in Main Outpatients at Nevill Hall Hospital. The photographs have been contributed by staff, Trustees and members of Gwent Wildlife Trust to illustrate the wealth of wildlife to be found throughout the post-industrial areas of north Torfaen, Blaenau Gwent and west of Abergavenny. Gwent Wildlife Trust covers the area from the lower Wye to the Rhymney river in south east Wales and manages over 30 nature reserves and two education centres. Currently, one of its biggest projects is centred on the former steelworks site in Ebbw Vale and this post-industrial region is the inspiration for this series of photographs. For more information about Gwent Wildlife Trust, please contact the Ebbw Vale team on 01495 307525 or head office on 01600 740600. Alternatively, look on their website at www.gwentwildlife.org or follow them on Facebook. This show is the 25th in a series of exhibitions in and around Nevill Hall Hospital, organised by Gwent Arts in Health. Garth is a local charity that aims to help realise the potential of the arts in promoting health and wellbeing. If you are an artist or part of a group that would like to show some work in Main Outpatients, then please contact Sarah Goodey (sarah.goodey@wales.nhs.uk) 01633 234517. Most Reverend Dr Barry Morgan DD Archbishop of Wales. 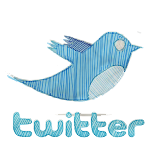 Registered as a Charitable Company limited by guarantee in England and Wales. GARTH works in partnership with the Aneurin Bevan Health Board which provides quality healthcare to more than 600,000 people living in South East Wales and are one of the largest and busiest Trusts in the UK. The Trust extends across Newport, Monmouthshire, Torfaen, Blaenau Gwent and Caerphilly.